All decisions are based on how best to serve our customers - to keep our longtime loyal customers and to earn the business of new customers. Our motto is just that…"to EARN your business everyday". Our designers are experienced in all phases of design and decoration. 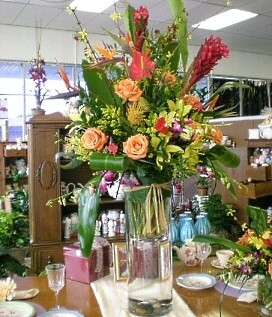 We would be glad to create custom designs to complement your decor. Proudly serving Hurst, Texas and the surrounding area since 1983, we’re a premier full-service florist that is family-owned and operated. We hope you enjoy your online shopping experience with secure 24-hour ordering right at your fingertips. 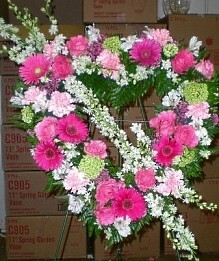 If preferred, you may call us to place orders direct at 682-200-8355 or 1-866-592-5213. 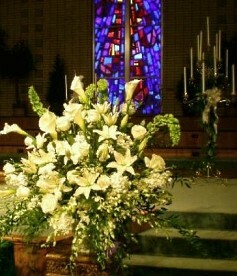 When You Need Something Special, Like Beautiful Wedding Bouquets... Fresh Flowers to Express Sympathy... or Wonderfully Unique Gifts for Any Occasion... A TOUCH OF CLASS FLORIST Has It All! 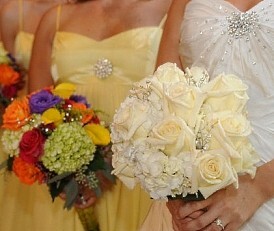 * Wedding Flowers and Party Flowers from A TOUCH OF CLASS FLORIST will ensure your special day is a blooming success!! Attention to every detail is our promise to you. We love sharing and creating ideas that will surely create a stunning wedding you will always remember. Call us in advance at 682-200-8355 or 1-866-592-5213 to set up an appointment for a consultation with one of our floral professionals. Call or visit us today… we look forward to meeting you! Thank you for visiting our website for flowers delivered fresh from a local Hurst, TX florist and easy online ordering available 24/7.